The federal census forms the foundation of much of our genealogy research in the United States. But there is a gaping hole between 1880 and 1900 due to the loss of the 1890 census. However, there are sources we can use to fill that 1890 census gap. 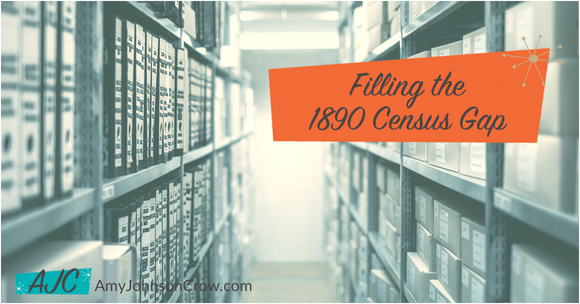 With those reasons in mind, let's look at some records that can fill in the 1890 census gap. Directories are almost like mini-censuses. They list the head of household (sometimes including the spouse), occupation, and place of residence. Some will give more detail, such as where the person works and number of children. Turner's Annual Directory of the City of Greensboro, for the Years 1890-'91. (Winston, NC: Stewarts, 1890), p. 56. Image courtesy Internet Archive. Besides the occupation and race (the "col" is an abbreviation for "colored"), we can see groups of Gilmers. Jim, Judie, Mack, and Tom Gilmer are all listed as having a house in Warnersville. (It isn't clear if it's the same house.) Lena and Nicey are both listed at a house at 229 E. Sycamore. This isn't proof that Jim, Judie, Mack, and Tom are related or that Lena and Nicey are related. It does, however, put them in the same place at the same time. It's worth following up on that lead. The federal government wasn't the only entity that conducted censuses. Many states took their own censuses. They might not be exactly from 1890, but they can help fill in that 1880-1900 void. New York, for example, had a state census in 1892. Tax lists might not be the most riveting source you'll ever use, but they are so handy. Governments have a vested interest in having them as complete as possible, which is always a boon to our research. Keep in mind, however, that if you're looking at a real estate tax list, the taxpayer might not actually live on that land; he or she is taxed where the land is, not where he or she is living. Like tax lists, voter lists aren't the most robust of records. They are typically just lists of names and, sometimes, party affiliations. But they do put a person in a specific place at a specific time. Remember, though, who you won't find on a voter list in this time period: Women. Want context? Look in the newspaper. Think beyond the obituaries and look in the society/gossip columns. You'll be amazed what you can find out. A Directory of the Sacramento Ave. M.E. Church of Chicago, Illinois (Chicago: Walter & Robertson, 1889), p. 41. Image courtesy Internet Archive. Between the fire and the later disposal of what was left, we lost about 99% of the 1890 population schedule. However, if you're lucky, you might find your family in the approximately 6100 records that survive. This fragment is available on FamilySearch and Ancestry. Where you're likely to have more success is with another schedule from the 1890 federal census: The Special Schedule of Union Veterans and Their Widows. Not all of this schedule survives, either, but there is much more of it than the population census. The Union veterans schedule survives for about half of Kentucky through Wyoming, plus the District of Columbia. There are also some pages for California, Connecticut, Delaware, Florida, Idaho, and Kansas. This collection is available on FamilySearch and Ancestry. Want to get more from your online searches? 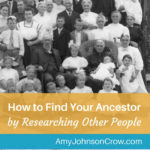 Subscribe to my blog and get a free copy of my guide "5 Online Search Strategies Every Genealogist Should Know"
What genealogy problem do you have because of the lack of the 1890 census? How have you tried solving it? Let me know in the comments! 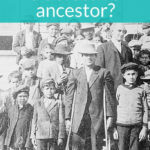 Do You Have a Defective Ancestor? This entry was posted in Records and tagged 1890 census, census by Amy Johnson Crow. Bookmark the permalink. Yes! Those special censuses that states and counties took can be wonderful! You’re so knowledgeable. Thanks for these valuable articles! Amy, Here in Indiana we have School Enumeration when we can find them. Good ideas of places to check. Kansas has territorial censuses from 1854-1859 [really voter registrations], and state agricultural/population censuses 1865-1925. These are available on Ancestry $. If you can find a plat book for the county within a couple years of 1890, it will list the homeowners at that time. Better than nothing. I used the 1892 plat book for Elkhart County, IN. Have you looked for a marriage record for the father? Have you also looked up any birth records for her sisters yet? Any listings at orphanages in the area? School records? On the death record, does it give her father’s last name or mother’s maiden name? You stated that women wouldn’t be on voter lists. they may not be correct. Women were allowed to vote in Wyoming and Utah long before they were allowed by the US government. Waterville, Maine is fortunate to have opted to make a copy of its census before sending the original on to the federal government (this is a sore point for those of us in nearby towns–which didn’t have the same foresight). The 1885 Dakota Territory census, conducted prior to statehood is a resource for North and South Dakota records. Thank you for posting this, I have many roots in South Dakota and this will help! Nebraska also had school census. I found mine at the local county level. — At the local museum I believe. I’ve noticed that a number of those who’ve left comments have mentioned eduction records. Here in Australia the school admission registers are particularly helpful for placing families in time and location and noting family relationships. Does America, perhaps individual states, have a similar type of records that may help fill in the relevant time period? Admission registers can be tough to find in the US. They were usually kept just by the local school district and weren’t always kept for for a long time. They’re great when you find them, though. Our family problem with the loss of the 1890 Census is that we have discovered my grandfather & his older sister are probably not the biological children of the man they thought was their father. Apparently, their mother was married previously. Lillian was born in 1888 & William in December 1890, so he would not be on the census but Lillian & their mother would, under what we think is the 1st husband’s surname. We cannot locate any marriage records for their mother beside that to the “step-father” (which has their mother listed under a surname different than her maiden name), nor any birth records for either children. Not having a 1st name for the supposed biological father doesn’t allow confirming Voter’s Registration information either. (DNA comparisons with other members of the 2nd husband’s family has been utterly confusing as to whether they are actual matches or not.) That 1890 Census sure would have been able to answer a lot of questions quickly! birth place/date: DO NOT put the state or country at all and do a date range of 10 years (say she’s born 1840 or so, then do a search from 1835-1845) because census and marriages are often not correct in their age. Also choose the check box so it only does that date range. Don’t check box any other boxes (like death, residence, marriage). Instead, choose ANY: then list whatever state she mostly resided. This will give you any kind of record at all for that state and her name with her approximate birth date range. This helps find elusive entries. You may have tried all this before, but I thought I’d throw it out there just in case. My dad was adopted and married twice, so I have had to figure out some crazy ways of searching for things. Norma B I am lost in Ohio. .Cincinnatti, Family in 1880 census. reportedly married in 1880 or thereabout. No Marriage records or baptismal. Probably are in church records only. They were Irish Catholic, so I’m lost. By 1900 they are in Memphis, TN. Both parents born in Ohio. Is there a way to access any of the church records? I have a similar situation with an Irish Catholic family in Jefferson County, West Virginia. The church records for this period were stolen; the family appears to only have losely complied with birth and death registration laws, and instead chose to register them with the Catholic Church — so it has been extremely difficult to prove births and deaths. My recommendation is to find out what Diocese had control of the parishes in and around Cincinnati during this particular time period. If you contact them directly, they are will be able to point you to which church has the records of different churches of the time period. If you aren’t sure which church your ancestors were affiliated with, start with contacting the parish secretary of the closest churches to your ancestor’s locations. Most Catholic Church’s that I have dealt with do not allow you to look at the records, but they will have volunteers search them for you. Catholics are regarded for their detailed record keeping, so as long as they weren’t stolen (as in my case) or destroyed by a fire or other natural cause, there are probably records! Check with the Archdiocese of Cincinnati. 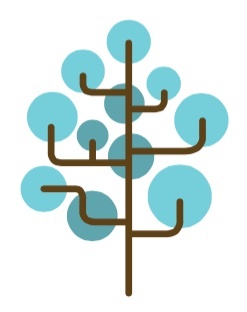 I would also contact the Hamilton County Chapter of the Ohio Genealogical Society. They have done a lot of work compiling replacement/substitute records for records that have been lost in Hamilton County. 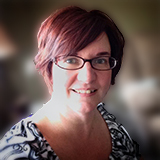 Amy – again, you have given us such a great set of resources to use! I absolutely love reading all your articles. You have helped me come up with quite a few things I never thought to do online and I thank you very much! Oklahoma was a territory, not a state, but did send in late their census for 1890 so it should be still available. I did more research after my posting.